This is an extra-strong front mount for the differential used in the 240Z, 260Z and 280Z. The differential on Z-cars is subject to a tremendous amount of torque when accelerating. The stock differential mount is from the bottom, so the rubber pulls, rather than compresses, as the front of the differential moves up during acceleration. Even with a stock engine, Datsun realized that the movement needed to be limited, so installed a strap to prevent the differential from moving too far up. With added power, the differential mount in the stock car is overstressed. Also, when changing to a stronger differential (such as an R200), the factory limiting strap will no longer fit. This differential mount is meant to contain differential movement by providing a strong, semi-rigid urethane stop at the top of the differential. It installs into the holes that were used by the factory limiting strap, and goes over the top front of the differential, while the stock mount remains in place below. The notch at the top of the mount is provided to allow for fuel line clearance. While this is a proven design, due to the many variations of the Z-car through the years, some modifications to the car or this mount may be necessary for a good fit. 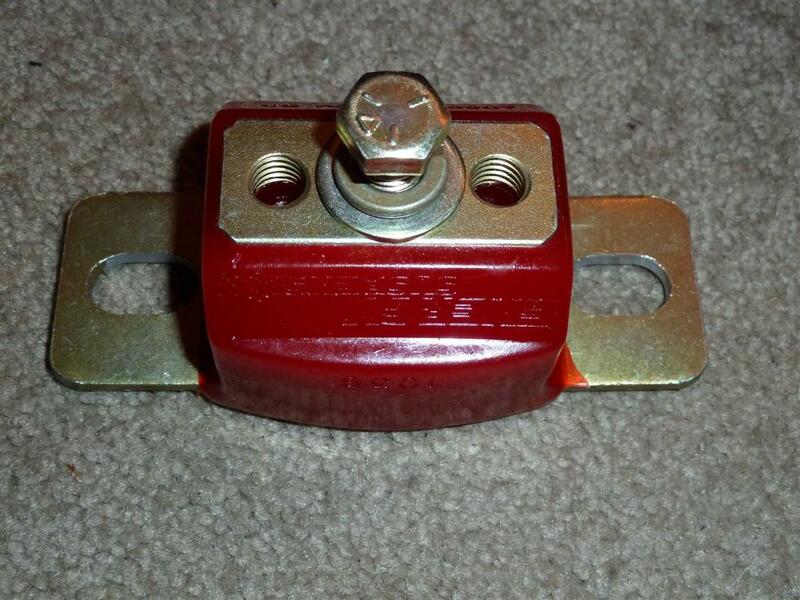 The urethane stop bolts into the steel mount. You trim it to the correct length, so it is slightly compressed by the differential top, via grinding, or cutting it with a hacksaw. Some installations choose to trim it for a loose fit between the stop and the differential, which eliminates any potential increase in noise or vibration when at steady speeds. 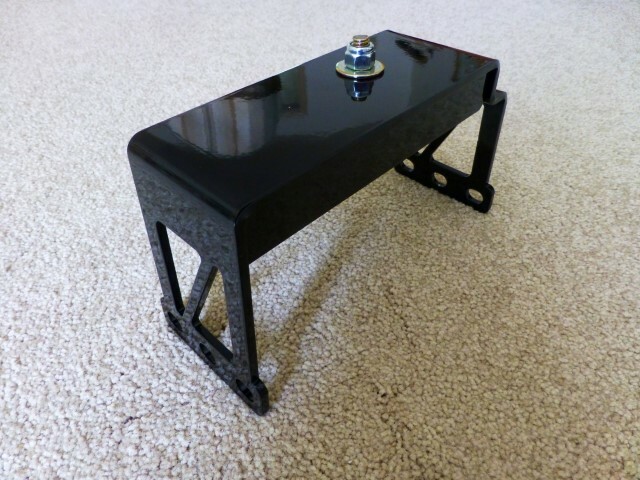 The mount is made of laser-cut steel, TIG welded, then powder-coated in gloss black. 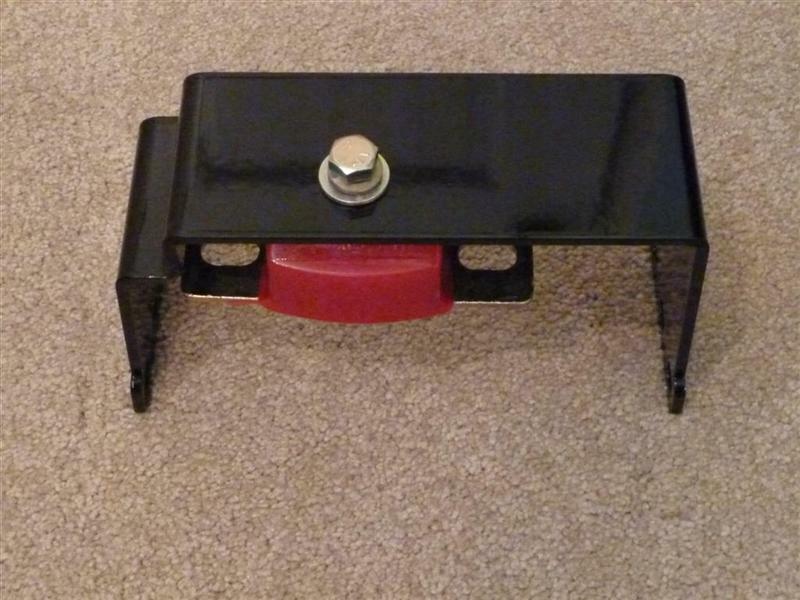 The urethane stop is included, and may be red rather than the black shown here. 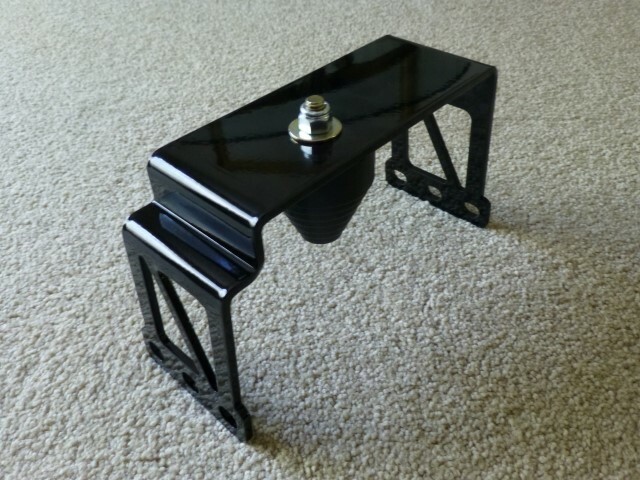 An alternate way to mount the differential is with a modified Energy Suspension urethane top-mount. This allows the differential to be mounted completely from the top, eliminating the need for the original stock bottom mount. This is a standard Energy Suspension part number 3-1108 that has been modified to have its hole-spacing slotted to fit the mounting bolts on a Z-car differential. 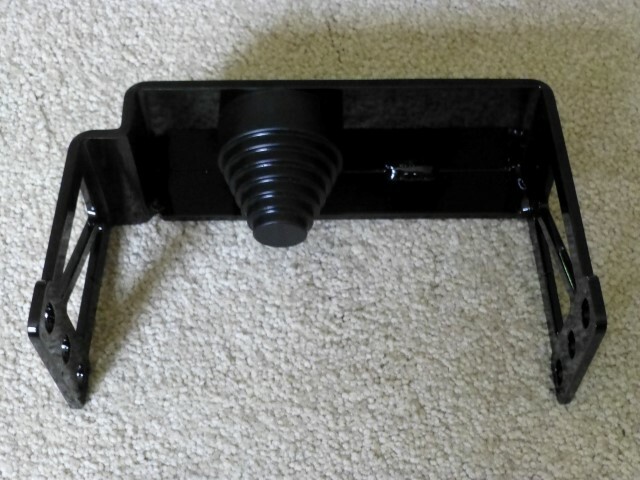 In addition to slotting the mounting points, the Energy Suspension part also has been machined in the urethane area between the mounting tabs to allow better fitment. This mount is much stronger than the stock Z-car mount, being less pliable, and having an internal structure that prevents excessive movement. It is also under compression, rather than tension, when power is applied. The Energy Suspension top-mount places the front of the differential slightly lower than when stock, and the original bottom mount must be removed. This change in geometry (about two degrees of driveshaft angle) is not significant in stock applications, but leads to slightly better driveshaft angularity with typical V8 applications. Diff Mount can only be purchased on-line. Shipping is $13.50 to anywhere in the United States via USPS priority mail. Sales tax must be collected for sales within Washington State. Two Diff Mounts will fit in one box without additional shipping charges. See buttons below for international orders. The modified Energy Suspension Top-Mount can be ordered in addition to the standard diff-mount package, giving you the option of mounting your differential two different ways - bolted from the top or the bottom. Acknowledgements: This style differential mount is based on a design by Ron Tyler, and consequently is often called an R/T Mount or RT Mount. The mount offered here is similar to the original design, but also incorporates some improvements by "Datsun Dave," with further refinement by TechnoVersions.